Next up on our Song-By-Song preview is the official entry from Greece, “Oniro mou” by Yianna Terzi, written by Gianna Terzi, Aris Kalimeris, Dimitris Stamatiou, and Mihalis Papathanasiou. The song is performed in Greek. Terzi is the daughter of Greek singer Paschalis Terzis, and has been pursuing her musical career since the age of 20. 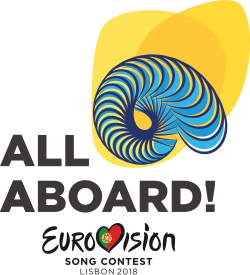 The song will be performed 14th in the competition order on the first semi-final on May 8. Ok, this one is a bit of a mystery to me. I love the song, and Ms. Terzi’s voice as well. But I have to admit, I have ZERO knowledge of what is considered contemporary Greek music – other songs competing for the chance to represent the country in EuroVision were disqualified for not “sounding Greek”. And yet they send this song to the contest. It’s absolutely beautiful, don’t get me wrong, but it sounds more Celtic than Greek to me – there’s a lot of Enya, Clannad, and Loreena McKennit in every vibe of this song; it even has a vague resemblance to McKennit’s best-known US hit “The Mummer’s Dance“. The title translates to “My Dream” in English and again is a mixture of love, confusion, and bitterness in the lyrics as translated for me, but the sentiment is still there, and very much alive and heart-touching as well, even if the video, though nice to look at, is a bit confusing. Surprisingly, this could very well find a place in the US charts, not likely as a single, but perhaps an album of similar tunes could make a dent on the New Age charts – I know a couple of radio stations that play new age and that have included non-English songs in their repertoire – see the aforementioned Clannad and their usually amazing songs performed in the Celtic language – and I think they’d jump BIG for this song…and EuroVision fans seem to either really love it or really despise it, so it’s hard to tell which way it will go in the contest. Greece made their debut in EuroVision in 1974, and have participated 36 times since, missing five years here and there. They have captured the Grand Final championship once, in 2005 wiht “My Number One” by Elena Paparizou. They are also one of the few countries who have never finished in last place, and have had top ten finishes ten times in the 21st century.